In 2006, Mariah Davis (our Founder) started her insurance career with Farmers Insurance. Shortly thereafter, in October of 2010 (sensing a need for change) she opened Oakview Insurance Services, Inc. an independent insurance brokerage. Since then, Oakview has grown to become the premier independent insurance agency in the greater Yuba-Sutter area, and recently expanded services into Placer and Sacramento counties. So why is it important to work with an independent insurance agent? A captive, or direct insurance company (like Farmers Insurance, Allstate, AAA, or Geico) can only offer you their own proprietary product, in other words, they can only offer you insurance from 1 company-their own. Therefore, those direct writers are holding you "captive" by the one company that supports them (pays their salary). On the other hand, Oakview Insurance Services, Inc. is 100% independent of any one company. We can offer clients insurance from multiple companies, providing numerous options, and provide price protection. Many insurance consumers don't fully understand just how important that really is. If you're a Dave Ramsey follower, you already know, independent agents are the only agents endorsed for auto, home, and life insurance. So, when it comes to something as important as insurance, it's imperative that you work with an agency who has an in-depth knowledge of multiple insurance products, companies, and guidelines - not just one. At the end of the day, what separates one agent from another, is their ability to proactively service their policyholders, and their knowledge of the industry, products, and different situations that may present themselves to their clients. Consider this real life example: (something we see regularly), "Becky" currently insured with Geico is hit with a $250 dollar increase at time of renewal on her auto premium. Geico doesn't have the ability to re-shop her, so Becky accepts the increase reluctantly and moves on (the only way Geico could mitigate the increase would be to cut coverage, or raise deductibles). On the other hand, our proactive agents at Oakview Insurance Services, Inc. would have flagged this increase prior to renewal, and re-shopped Becky's policy, in many cases mitigating any increase on her monthly bill. That's what makes us different, captive agents, don't have options. As an Independent Insurance Agency, we work with more than 20 "A" rated insurance carriers who compete to win your business. This competition allows us to offer superior coverage and great savings. Our insurance agents are trained to assess your needs, and offer unbiased advice. Some of the companies we represent include: Nationwide Insurance, Allied Insurance, CSE Insurance, Mercury Insurance, Safeco Insurance, The Hartford, Travelers Insurance, Metlife Auto and Home Insurance, Grange Insurance Association, ASI Insurance, Stillwater Insurance, Aegis Insurance, Foremost Insurance, Hagerty Insurance, Progressive Insurance, and many more. Oakview Insurance Services, Inc. is a family run business, with community roots dating back 5 generations. Our office holds more than 85 years of combined experience. We believe in building long term relationships through transparency, honesty, charitable giving, and service to the customer, not a giant insurance corporation. 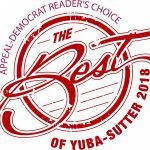 January 2019 Nominee for Business of the Year, by the Yuba -Sutter Chamber of Commerce. 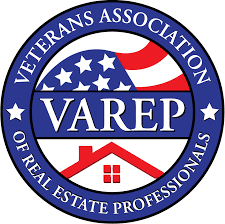 October of 2018 we became a proud member of VAREP (Veterans Association of Real Estate Professionals). September of 2018 Oakview Insurance Services, Inc. was once again Voted Best Insurance Agency, and Best Insurance Agent by the readers of the Appeal Democrat. January of 2018 Oakview Insurance Services, Inc. was acknowledged and awarded the Affiliate Support Award by the Sutter-Yuba Association of Realtors, for its ongoing support of the organization. September of 2017 Oakview Insurance Services, Inc. was Voted Best Insurance Agency, and Favorite Insurance Agent by the readers of the Appeal Democrat. February of 2017 Mariah became a Dave Ramsey Endorsed Local Provider (ELP), for property and casualty insurance. February 2017 Oakview Insurance Services, Inc. was recognized by Yelp, and awarded the Best of Yelp distinction. 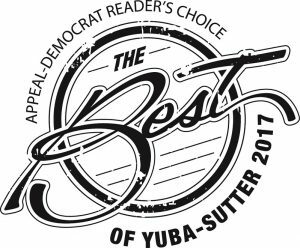 Oakview is the only insurance agency in the greater Yuba-Sutter to receive this award. Personal Lines (home insurance, hazard insurance, fire insurance, auto insurance, boat insurance, motorcycle insurance, RV insurance, Pet Insurance and renters insurance). Commercial Insurance or Business Insurance (our commercial lines department is CLCS designated). Flood Insurance (we are certified to write through the National Flood Insurance Program and multiple private flood insurance companies). Although we cover the entire state, our core business is located in the greater Sacramento area, including: Rocklin, Roseville, Lincoln, Sacramento, Yuba City, Sutter, Colusa, Chico, Plumas Lake, Live Oak, Linda, and Marysville. We invite you to contact our agency today, where we will discuss designing a customized insurance plan based around your individual needs. We look forward to earning your business, and serving you for years to come! We compare, you save! Come experience the Oakview difference.